President of Edeis and CEO of JLS Management, a company specializing in strategic consulting and crisis management. Jean-Luc Schnoebelen is a French entrepreneur, born in 1956, former president and founder of Ginger Groupe, now President of Edeis, a french company specialized in the infrastructures managing and engineering. He is also the CEO of Impact Holding and JLS Management (a company specializing in strategic consulting and crisis management). Jean-Luc Schnoebelen graduated from a French engineering school (ESGT Nancy), specializing as a survey engineer/topographer. Jean-Luc Schnoebelen began his professional career in 1981 at OTH, a French company specializing in building, infrastructure and industrial engineering which afterwards joined forces with EGIS within the IOSIS group. He then held the position of Director of International Development. 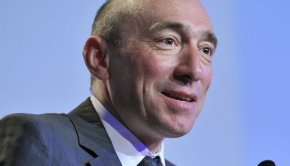 In 1983, he joined Bouygues as Director of the Engineering branch of a subsidiary of the group. 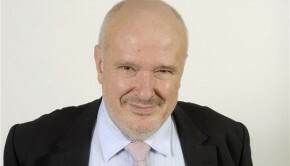 Jean-Luc Schnoebelen then became Technical Director of the group in 1986, before climbing up to the position of director of HDR Inc. (denomination of Bouygues USA) from 1991 to 1994. 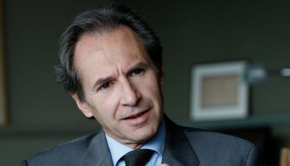 In 1994 he became CEO of Rinaldi Structal Group, another Bouygues group subsidiary. 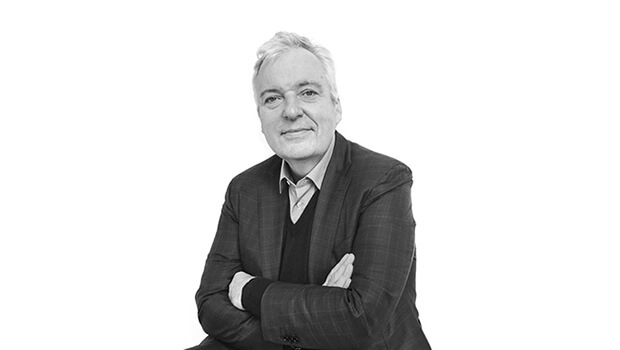 Jean-Luc Schnoebelen is also behind the creation of IB2 technologies (a company equally shared between Bouygues and IBM) specializing in the construction and realization of “smart buildings”, and Edival (a company specializing in digital data transfers for companies like France Telecom, Bouygues and Cap Gemini Sogeti). During this period, he participates in a competition launched by the Organization Committee of Albertville Olympics (1992) and wins the piloting of the broadcast media coverage of the the games on behalf of TF1 TV channel. Following this first experience, he participates in the study of the coverage of the football world cup (1998). He also conducted a technical and organizational audit of the Channel Tunnel for the 10 companies operating on the project. This audit involved a hundred people of various nationalities. Starting in 1996, with the acquisition of the CEBTP (center of expertise of the building and public works), Jean-Luc Schnoebelen laid the foundations for Ginger Groupe. 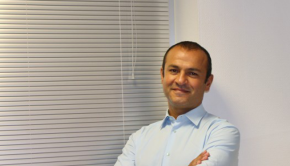 He built Ginger Groupe around the extensive network of CEBTP branches at the national level and bought as many as 15 companies in France and abroad, making Ginger Groupe the number one private group of Infrastructure and equipment engineering in France. The turnover of the new group went from a few million euros to 269.5 million euros in 2009. Ginger Groupe now counts nearly 2,000 employees, mostly based in France but also abroad. In 2010, Ginger Groupe was acquired by the Dutch group Grontmij, giving birth to the 4th largest engineering consulting company in Europe (with nearly 10,000 employees and a turnover of 1.1 billion euros). Ginger Groupe became Grontmij France in 2013.
on behalf of the CDR, he advises T.I. Group (turnkey industrial engineering), Master K Group (weighing solutions manufacturer), Bernard Teillaud Real Estate, LMDI (logistics company) as well as Air Caraïbes airline. on behalf of Suez Industries, he advises Clininvest, which manages some twenty healthcare establishments. Since 2011, Jean-Luc Schnoebelen has been heading Impact Holding (a company that holds the majority shares of 5 different companies). He is also the CEO of JLS Management, a consulting firm specializing in strategic consulting and complex management. The company counts TPFI, Vinci and SNC-Lavalin among its main clients. In 2012, Jean-Luc Schnoebelen started a new project with the creation and development of Club Dépannage, a concierge company offering real estate maintenance services for individualsthrough an innovative concept of emergency and maintenance services network.. Specializing in 3 main areas of activity (plumbing, electricity, locksmithing), Club Dépannage leans on the experience and skills of the renovation company JLS Construction. In 2012, Jean-Luc Schnoebelen also conducted several missions in engineering consulting for Vinci Construction. Since 2014, he also provides strategic counseling in order to carry out the restructuring of the French branch of the Canadian group Lavallin. Since December 2016, Jean-Luc Schnoebelen became President of Edeis, a newly created group that has taken over all the activities of SNC-Lavalin France. Edeis is one of the leading french groups in construction services, engineering, infrastructure management and technical services. In 1986 Jean-Luc Schnoebelen took part in the beginnings of what will quickly become home automation (“domotics”) by creating "Domobus", a domestic dashboard that allows the evaluation of individual consumption in collective dwellings with collective heating. At the end of 2011, Jean-Luc Schnoebelen was at the origin of an unprecedented idea : cover the Eiffel Tower with a plant wall. Jean-Luc Schnoebelen, back then head of the international engineering company Ginger Groupe, had worked for more than a year on this idea to dress the iconic monument with a lace of 600,000 plants, thanks to a hemp net hung on the iron columns and irrigated by a network of 12 tons of pipes. Ginger Groupe estimated the cost of this green cloth to 72 million euros, entirely financed by private sponsors. This project unfortunately did not see the light but embodies the originality of Jean-Luc Schnoebelen in the world of business and engineering.